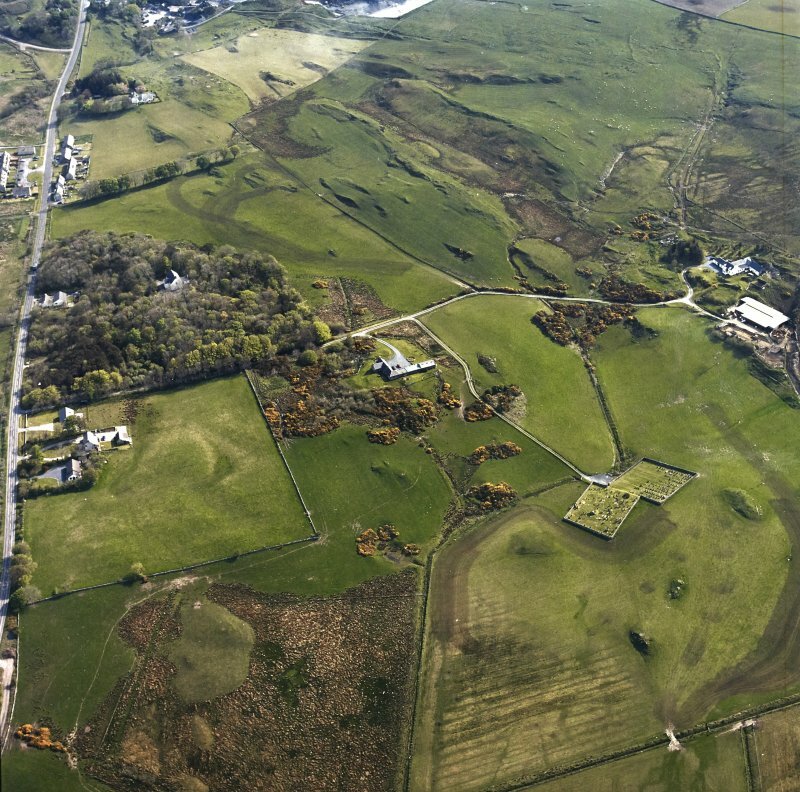 Oblique aerial view centred on the burial-ground, church and manse with the house and village adjacent, taken from the SW.
Kilmeny Parish Church, Kilmeny. View from North. 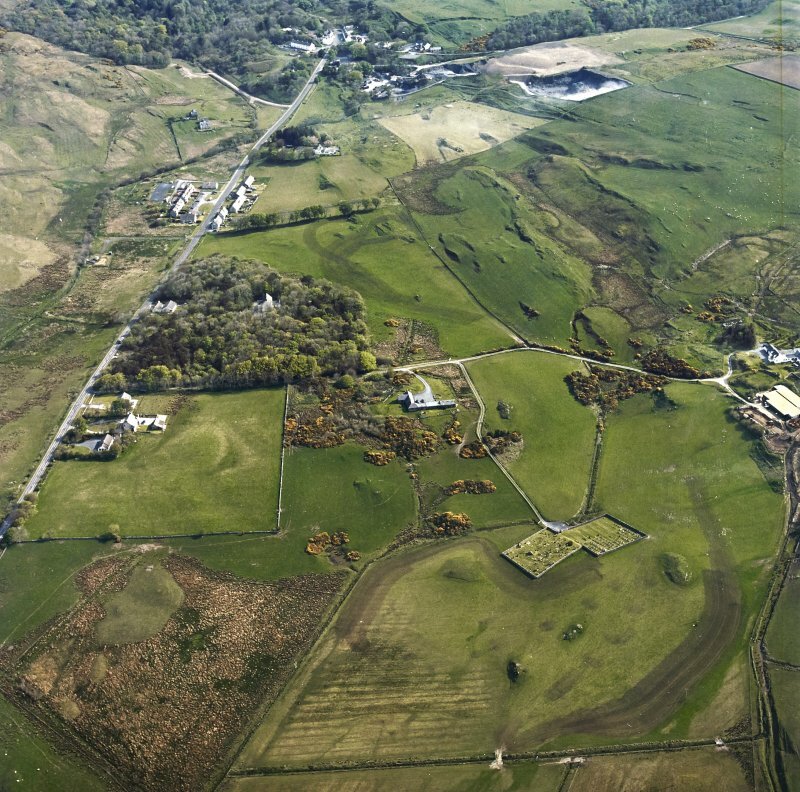 Oblique aerial view centred on the burial-ground, church and manse with the house adjacent, taken from the WSW. For present Killarow parish church (in Bowmore, at NR 3115 5951), see NR35SW 2. For Kilmeny Old Manse (NR 3879 6564), see NR36NE 31. This church stands within a plantation about 400 m NNE of its medieval predecessor (NR36NE 7) and 800m SW of Ballygrant village. An earlier building was remodelled by Walter F Campbell ofislay, at a cost of #238, about 1828, when the adjacent parliamentary manse (NR36NE 31; RCAHMS 1984) was built to serve the N portion of the joint parish of Kilarrow and Kilmeny, which in 1849 became the quoad sacra parish of Kilmeny. 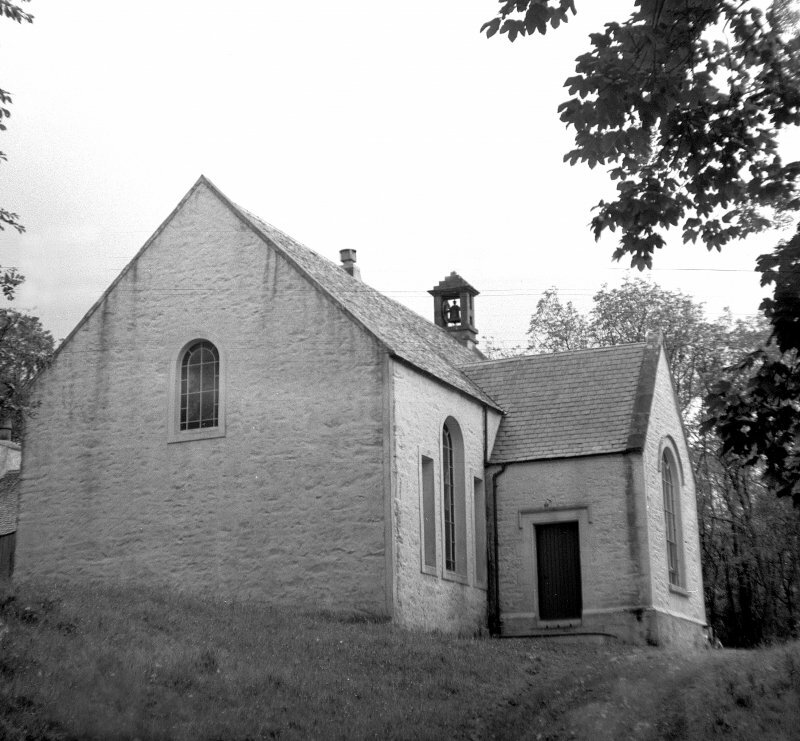 (Higland Churches 6th Report; H Scott et al 1915-61) Further extensive alterations were made in the second half of the 19th century. simple birdcage belfry which houses a bell and has a stepped pyramidal roof. fronting an arrangement of plain bench pews; a loft at the SW end is carried on wooden columns with stop-chamfered arrises.